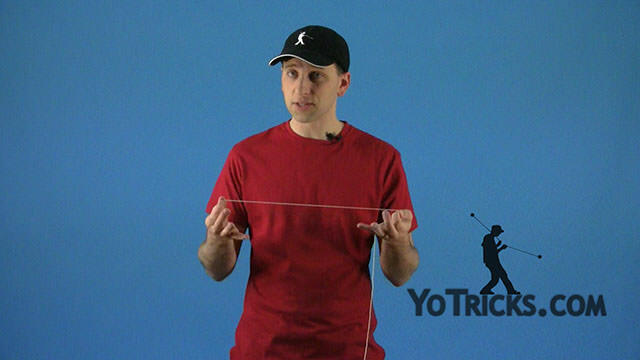 Learn about the different types of string you can use with your yo-yos. Different Types of Yoyo String Yoyo TrickOne thing that you probably don’t give a lot of thought to until you really get into yo-yoing is the type of string that your using with your yo-yo. By now you should definitely know that there is such a thing as yo-yo string; you can’t just put any string on your yo-yo and expect it to work. There are strings specifically designed for yo-yoing. But even when you have yo-yo string it does come in different kinds, and so in this video I am going to explain to you what the different kinds of strings are and how they will probably work best in the Peter Fish line of yo-yos. The first thing that you want to be aware of is your string’s composition. For the most part strings are made up of either cotton or polyester or a combination of both. I recommend using 50% cotton 50% polyester string because you kind of get the best of both worlds. Polyester is nice because it is super strong, it lasts so much longer than a cotton string. The problem with it is that it is an artificial fiber which means that you cannot really feel it on your fingers quite as well so when you are learning your string tricks it might feel a little bit slippery compared to a cotton string. Cotton string, it does give you a better feel in your hands but it breaks very easily and a lot of times at inopportune times. If you get a 50/50 blend it is not going to break that quickly on you and you are going to get a good feel out of your strings. So that is what we recommend. Besides your strings composition. You will also notice that there are type 6 and type 8 strings. What this means is how many threads go into making up each strand of your yo-yo string. The type 6 is 6 threads, the type 8 is 8 threads. The real difference between them… because 6 is thinner it seems to work a lot better with your string tricks, specifically with the Luminator. Because its thinner you are going to be able to get a lot more strings inside the middle of the yo-yo like that. The yo-yo will play a little bit better, a little bit more smoothly on the string. Type 6 strings are really good with the Luminator. For my part I really like using type 8 strings when I am using the Dominator and doing a lot of looping tricks because you are putting a lot of pressure on the string, it is doing a lot of snapping like that. Your type 8 string, it will last a lot longer and also because it is thicker it seems to give it just a little bit more response and give you a little bit more control over your yo-yo which is really fantastic when you are trying to learn your really difficult two-handed tricks. I recommend that you experiment with them. You will also notice that we do not just sell white strings, we also sell some colored strings. The type 6 strings come in a fluorescent yellow. The yellow is really great when you are performing because it is really easy to see and it is really flashy. It is actually fluorescent, so if you use a black light it will glow while you are doing your tricks which is pretty cool when you are performing. The type 8 string comes in a blue which is also fluorescent, even though you might not think about that at first, but the blue is a little bit harder to see from an audience perspective so you want to think about that. Again, it does glow in a black light so you can use that for performances as well. The other thing is that the dye that turns the string yellow and blue does affect how the string plays a little bit. So if you are really getting serious about your yo-yoing you may want to try those as well just to see if you like how the yellow string plays as opposed to the white string, or maybe you will prefer the blue string. I know some yo-yoers who just live and die by the type 6 yellow 50/50 string. I mean, they will never use anything else. Some guys are absolutely crazy about the white string they will never touch any dyed string because they just don’t like how it feels. Just experiment with it, see what you like. I’m sure that you will find one that is perfectly suited to you. You may find that you like the type 8 on the Luminator, the type 6 on the Dominator. It is totally us to you. It is totally user preference. Those are just my preferences that I have given to you. So hopefully this helps you out as you are working to become a yo-yo master.